I am new to the Acura community as recently purchasing a 2012 TSX with 98K miles. I have been reading throughout the board and about what to look for in a TSX and thank you for all the posts. The exterior and interior is in excellent condition with the exception of the drivers seat torn. I am interested if anyone has had their seats reupholstered and ordered the kits online. If so, from who? I do not want to add a seat cover kit as I want a clean finish. 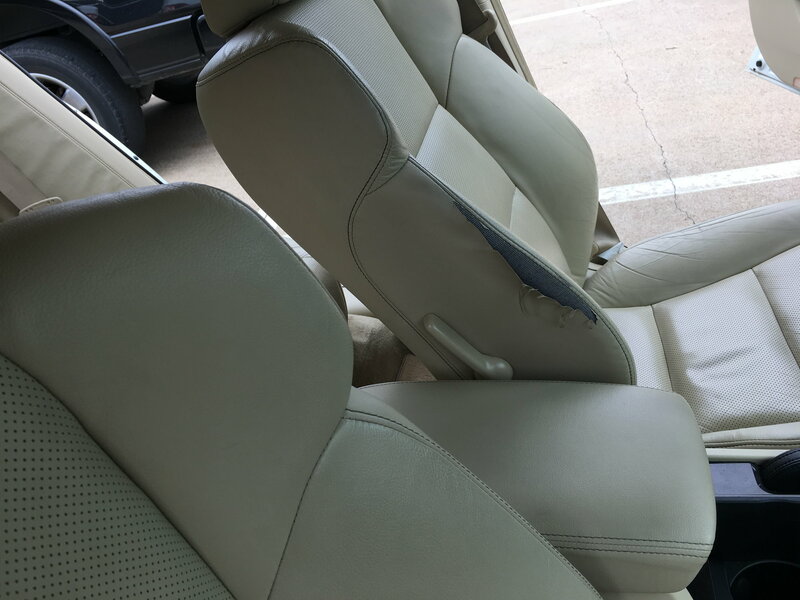 I would like to do the two front seats to allow each to match. I noticed many posts on TLs but could not find anything related to the TSX. These three providers make skins for the TL, I haven't checked to see if they do for the TSX, but it is a pretty good bet one of them will. I made a post about this over a year ago. My special edition tore in the exact spot. Acura used crap material. I called local places to fix it, everyone said they could but it would not be a 1:1 match, specifically the Ruby red stitching. If i remember correctly it would be about $300 to fix or in my case about $550 for a new seat cover. I bought some vinyl glue and did the best I could. Looks like crap but it's not worth that kind of cash imo. It did hurt pretty bad when I first saw it, ruined my day.